I had such fun today on the panel for Cincinnati Wedding magazine’s seminar, “Planned Perfection”, at Joseph-Beth Booksellers. The four other wonderful wedding planners and I fielded questions from the magazine’s marketing coordinator Amy Knueven and from the members of the audience. Here are a few points that we discussed. Budgeting! And more specifically, the importance of knowing your budget ahead of time and being upfront with vendors about what spending range you would like stay within when you meet with them for a consultation. Priorities. In timelines: booking your venue and photography early to insure you get the vendors you want, and in budgeting: spending more in the areas that are important to you and less in the areas that aren’t. Suggestions. We gave suggestions in a number of categories including ceremony musicians: Lyrica, Pro Art Music, and CCM Students. Proper skin care. It was suggested to start a regular skin care routine well in advance of the wedding day to make sure that your skin is in perfect condition! It was also recommended to try to get your groom in on a skincare routine as well (easier said than done, right?). The importance of a trial run. All professional hair stylists and makeup artists will do a trial run (it is sometimes included in the cost of your wedding day service, and other times billed as a separate cost). It was recommeneded to do your trial no sooner than a month or so before the wedding, so that you don’t change your mind a zillion times in between. Perhaps the best part of the afternoon was that Maribelle Cakery, one of the best bakeries in Cincinnati, provided very generous samples of their delicious cakes. I highly recommend considering them for your wedding day! 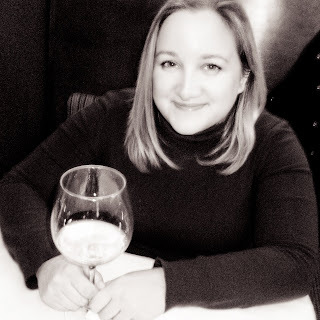 Contact Seth to schedule a tasting appointment — you will not be disappointed! All in all it was a great afternoon, and I hope everyone that attended found it beneficial. Hop on over to the Brideface Blog to read my guest post with tips on how to organize your wedding day before the ceremony to make sure you are relaxed and ready to walk down the aisle stress-free! Cincinnati Wedding Magazine requests your presence at two free wedding seminars at Joseph-Beth Booksellers on Saturday, January 24, 2009. PLANNED PERFECTION: Noon – 1:00pm, tips & tricks from local bridal consultants, including Aviva Events. 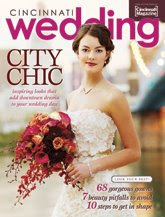 Following each seminar, enjoy refreshments and meet with Steve Smith, Cincinnati Wedding editor, and the guest experts. Seating is limited. RSVP with the link below or contact Chris Ohmer at 513-562-2777 or cohmer@cintimag.emmis.com. My pals at Brideface have asked me to stick around for the beauty seminar to serve as their “model”, so I’ll be there all afternoon! I’ll be a great example of how they really can make ANYONE look amazing! :) I hope you’ll stop by to pick my brain as well as the brains of the other wonderful planners who will be in attendance. Struggling with color inspiration for your spring wedding, shower or party? 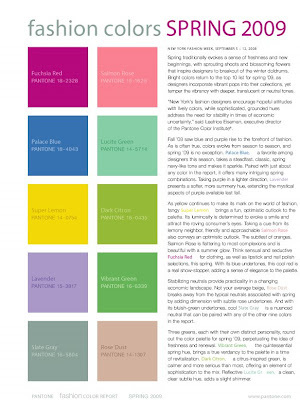 Pantone regularly releases their “fashion color reports”; and I love their Spring ’09 Top Ten. These colors are such a great “wake up” from winter! My personal favorites are Slate Grey, Palace Blue and Lucite Green (can you tell I’m craving a beach vacation???). Which are your favorites? Any predictions for what will make their list for Fall 2009? OPTIONS: What is included in their package? Do you get prints or a disc or both? How many hours will they be with you? Do they have an assistant or 2nd shooter? Is an engagement session included, or is it extra? STYLE: What is their shooting style? If they’re more photojournalistic, do they mind doing a handful of traditional portraits during the day as well? You can get a general idea of this by browsing their websites and blogs, and if you’re still unsure, ask to see an album of a full wedding start to finish. 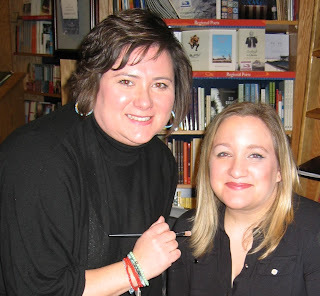 PERSONALITY: Whenever possible, meet with them in person! This is someone who will be around you ALL day on one of the most important days of your life… even if they are a great photographer, if your personalities don’t mesh you may want to look into some other options. Also – a quick note about 20 Brix. It is a fabulous wine bar/store and restaurant in Old Milford (just east of Cincinnati), with amazing food and a huge wine selection. They host wine and beer tastings regularly – a great idea for a unique bachelor or bachelorette party! And also just a great spot to unwind with a glass of wine. Check it out!